At the start of my review for 9/11, I stated how tough it can be to criticize any of these September 11th-related programs. To provide negative feedback toward this kind of project might make one seem cold-hearted. I didn’t need to test my hypothesis with 9/11, as I found it to offer an extremely powerful and moving piece of work. Ironically, of the two September 11th documentaries I watched, 9/11 was the one I felt less eager to see. Instead, I more strongly anticipated In Memoriam: New York City 9/11/01. While 9/11 concentrated on an up-close look at the NYFD, Memoriam promised a more general view of the day’s events and their repercussions. That approach sounded more interesting to me. However, my reaction to the piece differed substantially from the way I greeted 9/11. While the latter provided an amazingly visceral and heart-wrenching program, Memoriam lacked quite the same impact. Indeed, it packed a substantial punch at times, but the documentary suffered from a few flaws that meant it didn’t approach the heights demonstrated by 9/11. As I noted, Memoriam offered a more general approach to the topic. While 9/11 mostly stayed with the footage shot by two French documentarians, Memoriam featured material taken from a slew of different sources. 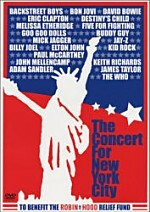 It also included new interviews with some New York officials. We heard from Mayor Rudolph Giuliani, Deputy Mayor Joseph Lhota, Mayor’s Bodyguard Patti Varrone, Fire Commissioner Thomas Von Essen, NYPD Pilot Patrick Walsh, Police Commissioner Bernard Kerik, Director Office of Emergency Management Richard Sheirer, Executive Assistant to the Mayor Beth Petrone, Chief of Police Joseph Esposito, Mayor’s Communication Director Sunny Mindel, Chief of Staff Anthony Carbonetti, and Giuliani’s girlfriend Judith Nathan. The program intercut these interviews with footage from the events of the day. Memoriam retained some of the most unpleasant subject matter. Not surprisingly, it featured a number of shots that showed the planes as they hit the towers as well as the collapse of those buildings. More controversially, Memoriam provided images of the “jumpers”, the people who leapt from the towers rather than die in the fire. Initially, I agreed with this decision, as I felt that it seemed important to depict the full spectrum of events that happened on September 11; good or bad, we needed to totally remember what happened. However, the more I thought about these parts of Memoriam, the less strongly I felt that way. Originally I argued that one could justify the inclusion of the jumpers to fully depict the horror of the day. In retrospect, I don’t think we really need to watch those images to comprehend how bad things were. 9/11 didn’t show such material but it managed to convey the same level of agony. Ultimately, I came to regard the visuals of the jumpers as gratuitous and distasteful, especially when it featured a photo of a dead body on the ground. Most of the rest of Memoriam avoided that kind of tone, though to be honest, I felt disappointed by the program when I compared it with 9/11. Memoriam seemed to try too hard to manipulate the viewer. Whereas 9/11 let the material largely speak for itself, Memoriam tended to be a little forced and jingoistic. For example, it concluded with a patriotic montage that highlighted the version of “God Bless America” performed by Daniel Rodriguez, the “Singing Cop”. I know it’s a crime against America to criticize anything associated with 9/11, but I can’t stand the “Singing Cop”. He seems to me like someone who’s using the tragedy of September 11th as a way to further his own fame, so his appearance on the DVD didn’t endear the program to me. 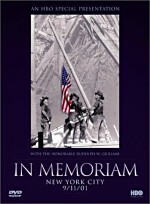 Otherwise, most of Memoriam provided an effective program. I must admit many of my complaints about it stem from the fact it isn’t 9/11. The documentary provided such a stunning piece of work that most others will pale in comparison with it. Memoriam offered a very good compendium of footage from the day, but it seemed too brief and somewhat superficial. At only an hour in length, the show tried to pack in a lot of material, and this meant it went through the topics awfully quickly. A two-hour piece would have been more complete and effective. I also felt that Memoriam lacked the necessary personal touch. Unlike the powerful 9/11, it mostly failed to convey the same level of punch in that way. Memoriam’s most effective moments came when we heard from Beth Petrone, whose husband Terry Hatton worked as a fire department captain. He died in the collapse, and never knew that Petrone had just become pregnant. Memoriam presented her story in a simple and compelling manner made it extremely moving. I liked the emphasis on the official view of the events, and it seemed interesting to hear Giuliani tell his take on the day as it occurred. However, I could have used additional personal touches like Petrone’s story or the heart-breaking phone calls made by eventual victims. The program provided a consistently effective look at things, but I still felt it could have been even more powerful. Ultimately, I thought that In Memoriam offered a fairly good documentary, but it didn’t live up to my expectations. I felt it seemed short and superficial to some degree, and it also came across as somewhat tentative and unsure of the path it wanted to take. While most of the show packed an emotional punch, it occasionally fell into manipulative emotional pits that diluted some of the strength. For a quick general look at the events of September 11th, In Memoriam appeared reasonably useful, but it paled in comparison with the drama of the far superior 9/11. In Memoriam: New York City 9/11/01 appears in an aspect ratio of 1.33:1 on this single-sided, single-layered DVD; due to those dimensions, the image has not been enhanced for 16X9 televisions. Partially due to the wide variety of source materials, the picture seemed fairly weak, but I also noticed some problems that made less sense. The footage shot on September 11 itself varied wildly. Some of it seemed fairly crisp and accurate, but a lot of it came across as blurry and noisy. Colors could look reasonably accurate, but they could also appear flat and drab. None of this surprised me. Professionals shot some of the footage, but a lot of it came from regular folks who used consumer-grade equipment. This meant that much of it looked rough, but I felt that the presentation of these sources seemed about as good as we could expect. However, I felt less pleased with the quality of the interviews. Professionally shot in controlled settings, those seemed somewhat soft and fuzzy, and they displayed moderately bland and flat colors. More problematically, they displayed a lot of video noise and some edge enhancement. Admittedly, I didn’t expect to find a visual extravaganza with In Memoriam, and frankly, some of these criticisms may be irrelevant to some degree. Still, I don’t want to make excuses for a moderately weak presentation, and In Memoriam showed more concerns than I’d anticipate. The Dolby Digital 5.1 soundtrack of In Memoriam also suffered from some of the same issues that affected the picture, but the audio generally seemed more consistently satisfying. Given the source material, the soundfield remained fairly heavily oriented toward the front speakers. Music displayed good stereo imaging, while other elements varied. The events of the day played out with a fairly natural and accurate setting. Some movement and panning occurred, while the surrounds offered general support. Audio quality seemed to be about as good as I could expect. The dialogue from the interviews sounded natural and warm, and I noticed no problems related to edginess or intelligibility. Music appeared clear and vivid and showed nice dynamics. Elements recorded live on September 11th obviously displayed more problems, and they often appeared rough and distorted. However, the mix seemed to present these as well as possible; I didn’t sense any problems that resulted from the production of In Memoriam, and the audio for the DVD appeared more than acceptable for the material in question. In Memoriam includes a few supplements. Most useful is 9.11 Onsite. This offers an interactive map. Select any of 14 spots and you can read information about specific events. 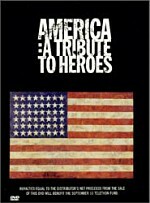 These pieces also include additional interviews with Mayor Rudolph Giuliani, Fire Commissioner Thomas Von Essen, rescue worker Thomas Hayes, Police Commissioner Bernard Kerik, Tony Coles, Chief of Police Joseph Esposito, Mayor’s bodyguards John Huvane and Patti Varrone, Director Office of Emergency Management Richard Sheirer, and Deputy Mayor Joseph Lhota. The clips last between 25 seconds and four minutes for a total of 21 minutes, 41 seconds of footage. We get these different perspectives on parts of the events as they unfolded, and the comments seem informative. Most compelling are the remarks from Hayes, whose helicopter came extremely close to the second plane. Contribute lists two different charities related to September 11: the Twin Towers Fund and Network for Good. It also provides Internet contact information for those groups. Finally, we get some DVD-ROM materials. In addition to a link to HBO’s website, we find the “Tribute Mosaic”. 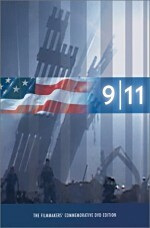 This offers a collection of art and comments about September 11. It’s a strong piece. While In Memoriam offered a decent look at the terrible events of September 11, 2001, I didn’t think it stood out as a tremendously strong piece of work. The program offered many powerful moments, but it also suffered from some questionable choices that blunted the show’s overall impact. The DVD provided moderately problematic picture that usually represented the original material fairly accurately, while audio quality appeared satisfactory. In addition, it includes some compelling supplements. While it gave us a generally solid documentary, In Memoriam came as something of a disappointment, as it failed to do total justice to the subject matter.